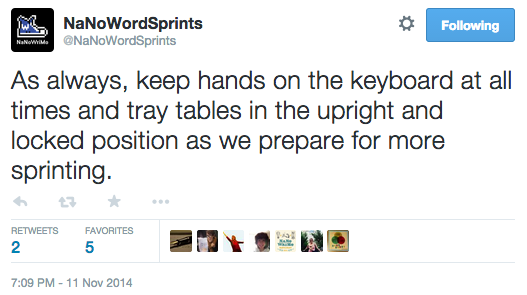 I’ve been blogging at Sitting in Spilt Ink since I was 16. I’m 23 now. The blog has been dormant for some time now—almost a year. It started as an accident. I was overwhelmed with life and school, and I just didn’t make blogging a priority. But I didn’t have the motivation to blog either; it didn’t feel like there was a purpose behind it. Excuse the red tongue. I had a sore throat and was eating cough drops. In the past year, I also had some complicated health issues that made really knocked Sitting in Spilt Ink off my priority list. While dealing with those issues, I was finishing my master’s in integrated marketing communications. I graduated in May, and I was the recipient of the award for excellence in my program. Soon after, I left an spent a month in Denver, Colorado, where I completed a graduate certification program in book publishing from the Denver Publishing Institute. The feeling of my chest folding in on itself is familiar in a haunting way. It clenches the way that muscles flinch when something comes to close to your face—except it stays that way. There’s no immediate relief after you don’t get hit. There’s no sigh to release the tension. It’s November 3, and I’m already stopping my NaNoWriMo expedition for this year. Not to worry, fellow writers, I’m not abandoning my project—just reevaluating. This year, I tried to be something I’m not: a pantster. For those of you who don’t know, a “pantster” is someone who writes their novel without planning before hand. They fly by the seat of their pants, if you will. Maybe I’m finally just too happy. No. that is not who I am. That is not my poetry. My voice pulls out the harsh reality. I have lost my sight, my vision so clear of the pain and suffering so many endure—what I used to feel daily. I write now in hopes of bringing a voice back. Or worth reading at the very least. I’ve been working on The Beginning for awhile, and I’ve decided I’m not quite ready for it yet. I’m not at the right place in my life to write the caliber of story that The Beginning deserves. So, I will put it aside for awhile and eventually come back. Tonight, I’m going to continue work on a new novel that I’m calling “Ordinary” for the time being. It’s not a love story. I don’t write those. It is, however, a story about love. Stay tuned for details and teasers, darlings. I’ve made a mug of coffee and brought my computer to the lounge, where I’m using dry-erase markers on a board to set up character outlines. It’s snowing outside, but I have fuzzy socks on. I’ll probably order a gluten-free pizza later, with barbecue sauce not tomato sauce, and of course chicken, double cheese, onions and pineapple. I’m falling in love with the first line of my novel, and my characters are showing me how awesome they really are. So I’ve done just a phenomenal job at NaNoWriMo so far, and by that I mean I haven’t started yet. OH JOY. I have my ideas down, I just haven’t sat down to write yet, which is weird for me because I procrastinate by writing. So now I’m actually doing work and stressing out because I haven’t started my novel yet! AHHH! Anyone else having this problem? 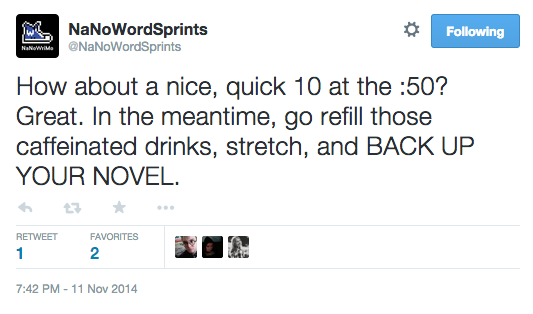 Other NaNoWriMo problems? Let’s chat, novelists! Alan Watts is an interesting man. I’ve been listening to his lectures on YouTube all day, and I just find him fascinating. Watts, in many of his lectures, speaks to needing the discipline to acquire skill to be happy, not money. After watching, or listening rather, to this lecture, I’ve begun to think how often I put off writing or editing photos because “more important” things take precedence (like homework and the newspaper). But what I want most out of life is to write. Sure, I mean be a journalist because I enjoy it, but I want to write books. I want to write poetry. I want to write short story collections. But my stipulation for that is that I want people to care, and that’s scary to think about. It’s completely out of my control. Whether or not people chose to give a damn about me or my stories is 100% their prerogative. I can only rely on what I know how to do, the skills that I am mastering and the ideas in my head. But maybe the stars will align for me as they have for my heroes.